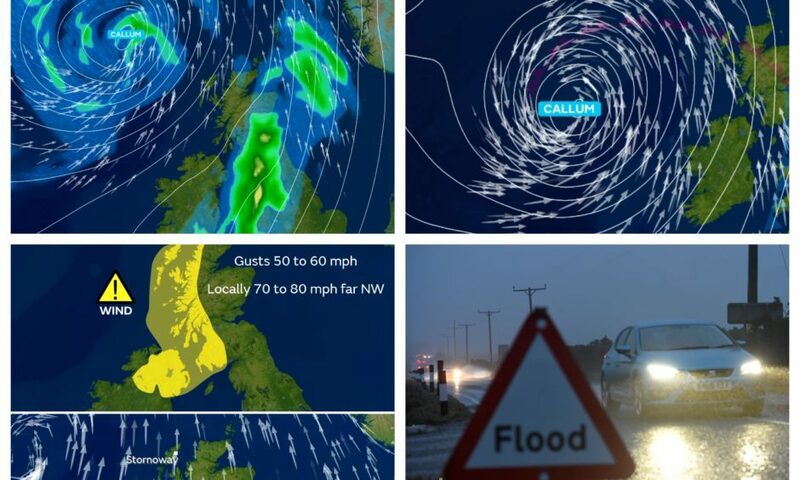 Tayside and Fife could avoid the worst of Storm Callum, which is predicted to batter much of Scotland with 80mph wind and torrential rain in the coming days. Storm Callum is expected in the coming days. A Met Office yellow warning for wind comes into place across much of the west coast between 3am and midnight on Friday – with a section of western Perthshire falling within the danger zone. Storm Callum, which was named on Wednesday, will also bring with it a downpour of rain on Saturday – which could cause flooding across the local area. 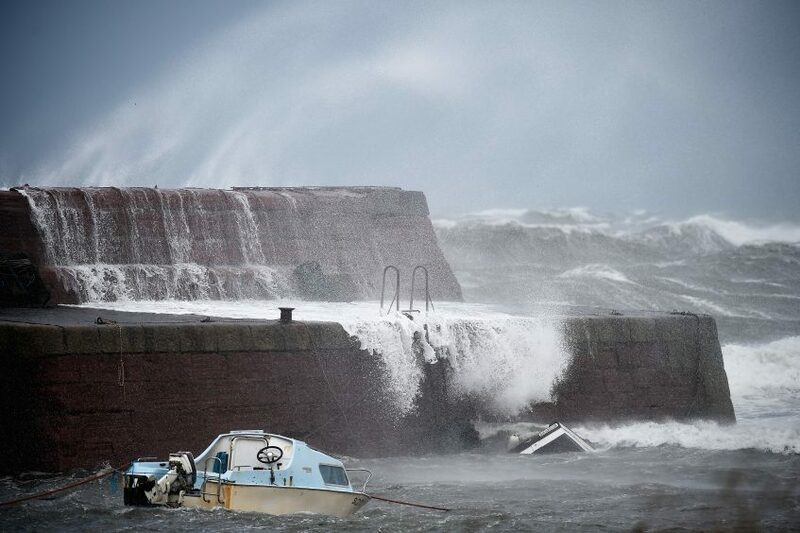 However forecasters say Tayside and Fife may well dodge the worst of the windy conditions come Friday. Met Office meteorologist Greg Dewhurst said: “Storm Callum is coming from the middle of the Atlantic. It is developing through the course of Wednesday night and Thursday and working its way slowly towards us over the next 48 hours. He said western Scotland will be the worst hit on Friday, adding: “The rainfall aspect is likely across the whole of Scotland. Wind will be very strong. Picking up from 5am-6am on Friday, (parts of Scotland) could see gusts right through the day of 60mph, 70mph or 80mph. However Mr Dewhurst said locals in Tayside and Fife are “not going to escape fully”, adding: “People will be waking up for work or school and it is going to be a cloudy, wet start to the morning. It is quite a wet and windy day on Friday itself with outbreaks of rain. “For Tayside and Fife on Friday there are no warnings in force but the rain is going to continue across the area right into Saturday. On Saturday the rain could become even heavier. It comes after the UK enjoyed unseasonably high temperatures on Wednesday with Northolt, London, reaching 24.6C. In Scotland, 20.1C was recorded in Kinloss while the mercury rose to 17.8C at Strathallan Airfield and 17C in Dundee. The average temperature for this time of year in the local area is between 11C and 13C.